In today’s fast paced, globalised economy, medical translation is becoming more and more prominent. Clients ranging from pharmaceutical companies, to medical device companies and research organisations are constantly evolving in line with technological advances and are therefore growing at an astronomical rate. While this environment does prove to be prime for international business, it does require one key element; medical document translation. As the nature of the industry requires strict accuracy and security, medical document translation adheres to regulatory laws and global standards that could have detrimental impacts on your business. For this reason, finding a reputable medical document translation service in Hong Kong is not a luxury, but a recognised industry standard. Translation Services HK is Hong Kong’s leading medical document translation services provider. Offering a wide range of translation services for any business, ranging from small and medium sized, to larger international enterprises in Hong Kong, Translation Service HK is your full scale, trusted medical document translation service. Your business can work at ease knowing we will support you through a variety of medical translation in core areas for your business, during any stage of the product or service life cycle, with utmost integrity and accuracy. Not only that, but we provide the most competitive and cost effective translation services in Hong Kong. As the medical industry includes a plethora of documents, not to mention additional forms as per country regulations, if you do not see your project listed here please contact us with your inquiry and we would be happy to assist you with a free quote! An integral value at Translation Services HK is quality control. We understand that each business we work with offers a unique value proposition and the importance of our translators maintaining the appropriate education, training, and experience to deliver diverse, quality content that reflects your business. With the fluidity of today’s global economy and client expectations, we rise to market standards, understanding that one publication alone could include a variety of translation needs. Translation Service HK can deliver multiple language projects across the major languages from Europe, Asia, and the Middle East to ensure that your business can communicate effectively and with ease wherever your clients may be. This ability will nurture the growth of your business and a positive, world class reputation. The medical industry demands precision, consistency, security, and confidentiality for documents that are associated with complexity and the need for accuracy. As such, Translation Service HK responds with an expert team of medical language specialists who are on top of medical terminology, regulatory laws, and can deliver professional documents exceeding your expectations regardless of volume or urgency. All our documents are subject to quality assurance which includes expert proofreading before project delivery, ensuring accurate results. Why engage Translation Service HK? 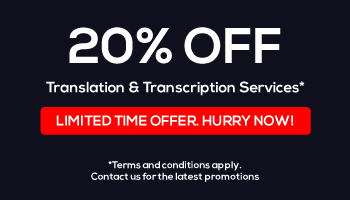 Translation Services HK is your trusted one stop shop, offering skilled and savvy industry professionals to assist you in all your translation needs for a large variety of medical documents across an exceptional amount of areas of expertise. Regardless of the scale of your project or the timeframe, we have all the necessary tools to ensure your translation experience is a seamless one; delivered precisely and on budget. Please contact us today for a tailored, complimentary service quote for your project. 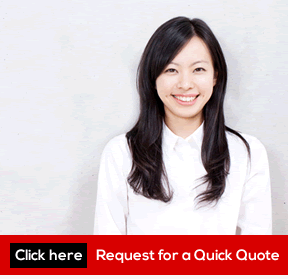 Receive a FREE quote by sending us a quote request now!